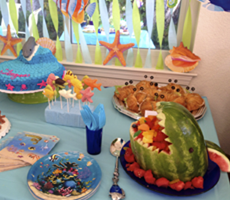 Cherry on Top Parties creates extraordinary children’s birthday parties that are a busy mom’s dream-come-true. Your time is precious. Breathe a sigh of relief and let Cherry On Top Parties bring a stylish, stunning, and stress-free event right to you. 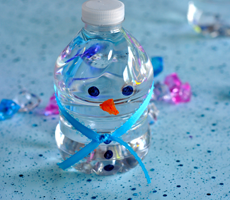 Our signature theme parties will WOW your child while providing you the chance to relax and truly savor the day. Amazing decorations, super fun activities, unique and memorable favors — we’ll carefully plan all the details so that you don’t have to! We believe that the best birthday present you can give your child is to be present at their birthday. That’s why we orchestrate the entire affair, from start to finish, freeing you to partake in all the fun while leaving the work to us. And with us behind the camera, you’ll finally be captured in event photos. Our packages also include a custom Shutterfly photobook of the party, allowing your family to enjoy the magical memories for years to come. 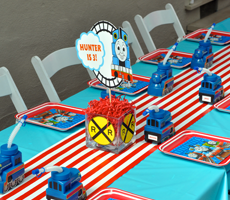 From custom cakes to faux snow, vintage teacups to a motorized Lightning McQueen car, Cherry on Top Parties delivers that extra sweet touch that makes our children’s parties truly memorable. 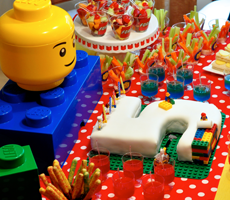 Let Cherry on Top Parties create the perfect little party for your perfect little person!